Our BedBug Exterminator will identify the source of the Bed Bug infestation and create a customized treatment plan to eliminate the pests. Let us be your Bed Bug Control Exterminator, give us a call today 1-844-305-8999. Research has indicated that one of the most effective tools for detecting low level bed bug infestations may be interception devices. These devices are designed to catch bed bugs as they travel to and from a bed by trapping them as they naturally more around the environment. Preliminary indications that the best bed bug interception devices on the market can detect 80% or more of low level bed bug infestations within 1-2 weeks of being placed under the legs of beds and couches. Our Bed Bug Exterminator will install Bed Bug interception devices that are an exceptional Bed Bug Control solution. Bedbugs are active mainly at night and usually bite people while they are sleeping. They feed by piercing the skin and withdrawing blood through an elongated beak. The bugs feed from three to 10 minutes to become engorged and then crawl away unnoticed. Our Bedbug Exterminator is trained to identify Bedbugs. 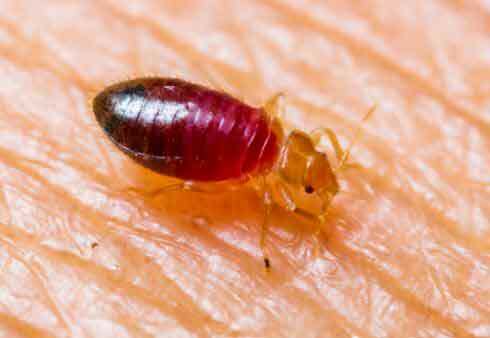 Bedbugs are small, flat, wingless insects with six legs that feed on blood from animals or people. They range in color from almost white to brown, but they turn rusty red after feeding. The common bedbug doesn't grow much longer than 0.2 inches (0.5 centimeters) and can be seen by the naked eye to the astute observer. Bedbugs get their name because they like to hide in bedding and mattresses. 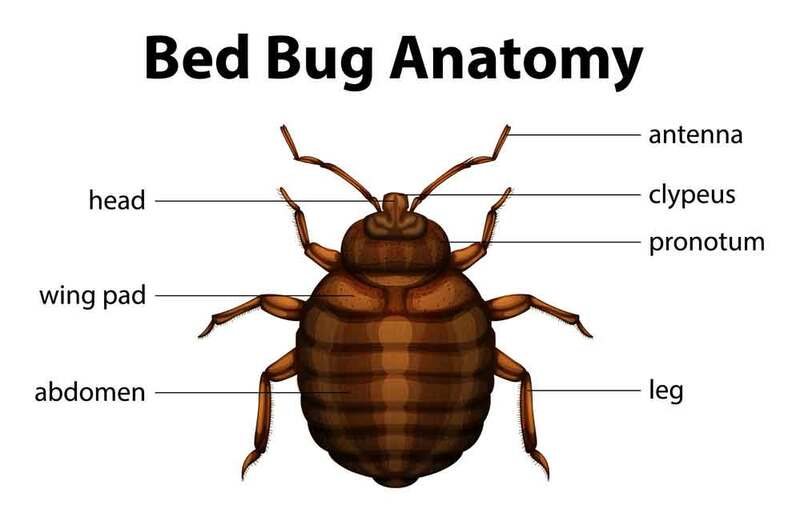 Pictured right is an excellent Bed Bug Identification chart. If you notices you have Bed Bugs, Give our Bedbug Exterminator a call today. 1-844-305-8999. 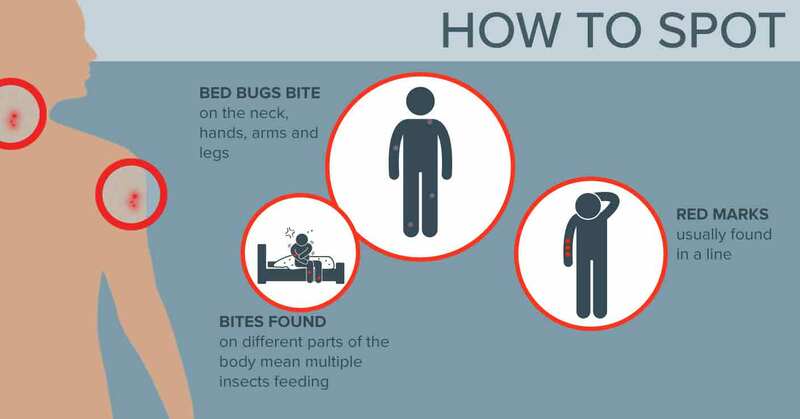 Here are some valuable tips to ensure "bed bug proof" travel! 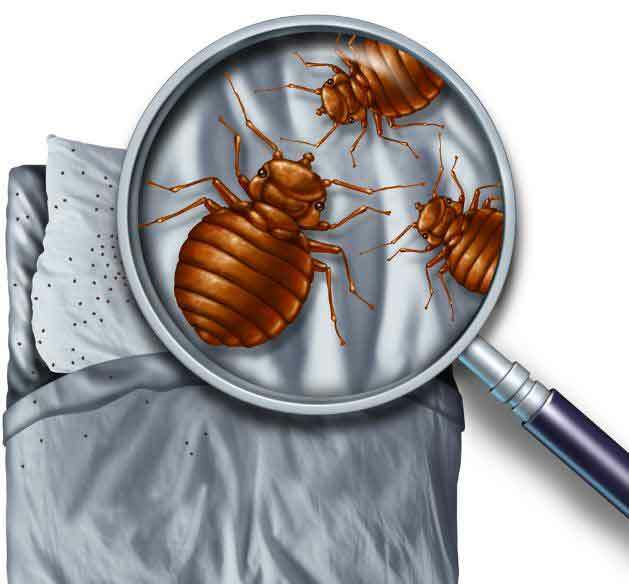 Call up the hotels that you are interested in and ask if they use anti-bed bug mattress encasements and how often they use a Bed Bug Exterminator. Look up your location of interest or hotel address for any recent bed bug reports. This can be found online at sites such as bedbugregistry.com. Pack using a top-quality luggage liner for easier bed bug identification. Pack everything in bed bug free luggage liners. Pack a small flashlight to be better able to search for indications of bed bugs. Pack an anti-bedbug laundry bag and keep your clothes from exposure to the floor. Pack a bed bug proof travel pillow & cover in your carry on. Q. Do bed bugs spread disease? A. Bed bugs should not be considered as a medical or public health hazard. Bed bugs are not known to spread disease. Bed bugs can be an annoyance because their presence may cause itching and loss of sleep. Sometimes the itching can lead to excessive scratching that can sometimes increase the chance of a secondary skin infection. Q. What health risks do bed bugs pose? A. A bed bug bite affects each person differently. 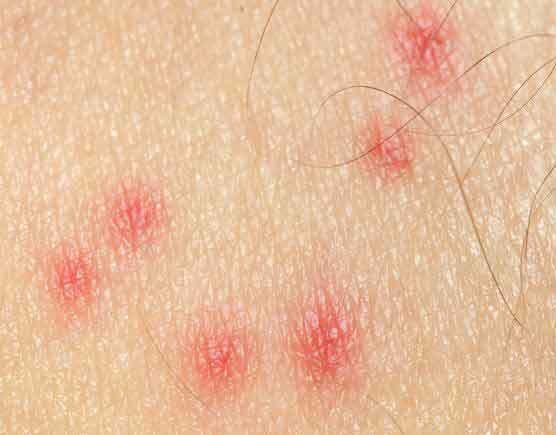 Bed Bug Bites responses can range from an absence of any physical signs of the bite, to a small bite mark, to a serious allergic reaction. 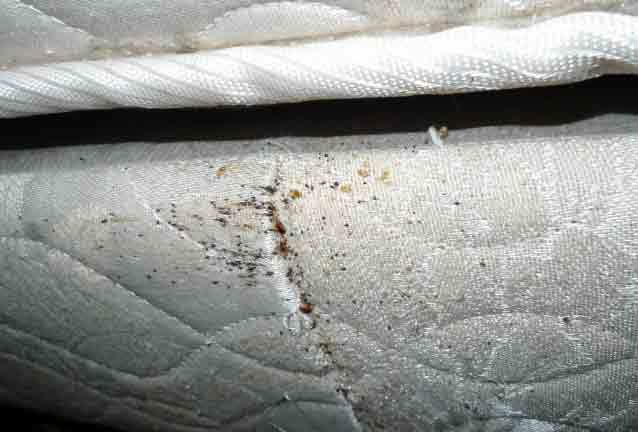 Bed bugs are not considered to be dangerous; however, an allergic reaction to several bites may need medical attention. Q. What are the signs and symptoms of a bed bug infestation? - a sweet musty odor.